High standards are demanded of pizza dough. Oftentimes they are harder to work with than bread dough. 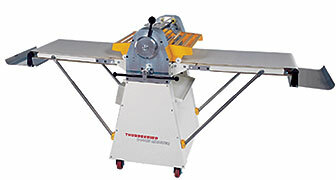 Our Thunderbird machines are essential for the successful creation of great pizza dough. During the making and further preparation they meet highest quality standards. Our pizza machines are designed to sheet, divide and round the dough respectively. Find your helping hand for making success-producing pizza dough among our vast range of machines. – Dough Sheeter and Former.